Today at 10:34 AM, my phone buzzed in class, while I was giving a lecture on Probability Sampling methods. The first message simply read “SCHOOLCAST: Emergency Alert:” and nothing more. I paused for a moment, figured it was either an error or a test, and continued on. About 5 minutes later, my students interrupted me – they’d gotten messages too, and began uttering the phrase “Active Shooter”. I checked my phone again, and saw the actual message, advising us to take immediate lock down action. I walked over to the classroom door, verified it was locked, and shut it. Over the next 3 hours, my classroom was the scene of a number of discussions and moments of both light joking and nervous quiet. Students comforted each other when they needed to, rumors flew as we all saw our phones light up from every conceivable app, and we kept each other as calm and collected as possible. My students didn’t panic. We waited until around 2 PM when we knew the building to be secure, and started letting students have limited bathroom trips, always traveling with a buddy or 3. Finally at 2:30 students were evacuated from my building, and I left shortly after to head home. When I got in my car, I took stock of what had happened. I had started off a normal Monday morning, and it had ended in the mid-afternoon with classes interrupted and cancelled, students shaken, and a colleague dead. Addressing the last portion, I knew Ethan Schmidt professionally, and slightly more in that we were Facebook friends, we would talk and joke at various meetings, and each knew about the other’s classes and work. I had met one of his sons, and knew of his family trips through last summer. We both shared a love of Baseball, and spoke of it when we’d see each other. My students all spoke highly of Ethan, and I never doubted what they said. It was clear to all who knew the man that he was a true gentleman, as another professor dubbed him during a Fox News interview. (I myself was asked for comment by news organizations, but felt that anything I was going to say, I wanted full control over – hence this post). First and foremost today, we should acknoweldge that a man died, and that the lives of his family, his students, his peers, and his institution will never be the same. Rest now Ethan, and know that you are missed. About 20 minutes after we went into lockdown, with rumors flying, one of my students asked the group if they wanted to pray with her. Many of us did, and she gave a short, eloquent prayer that summed up what we all felt: Please keep us safe, keep our campus safe, and be with those who were injured. Over the next several minutes, students asked me questions – mostly what I’d heard through the official channels (Which was enough to know what to do, and information as it became available – contrary to what some have suggested, the administration played this one very well – my Dean and Chair were both in communication via email, and nothing was released that could cause panic or unnecessary alarm). They also asked what I was thinking and feeling. I responded that we needed to stay calm, because there was nothing we could do about the situation – we just needed to wait. As the minutes turned into hours, the mood lightened in the room (including jokes about who we’d eat once we got too hungry , since we’d missed lunch). We knew our building’s external doors had been secured (Professors have keys that can lock and unlock the external doors, and indeed, it was two professors who had manned the doors on the first floor while awaiting law enforcement). We knew that law enforcement from the surrounding area had converged, and that those whose job it is to take care of us, were indeed doing that job. I’ll take a moment to thank the law enforcement community that responded to the situation. They were calm, measured, and professional, putting their lives on the line to protect ours. The ATF officers who evacuated us did not shout to us orders, they spoke to us calmly, instructed us on where to go, and answered our questions. I’d also like to take a moment and thank my family and friends who “checked in” with me. On a day like this, one appreciates all of the support one has. I was truly moved by the number of people who reached out, and I’m sorry I wasn’t able to respond very quickly or respond individually to each query. My number one priority was keeping my students safe (us prof types get very protective of our students! ), so my responses were pretty short and laggy! It’s easy for us, in times like this, to search for answers that just aren’t available to us, or may never be. We don’t know, as of now, the exact motive for this crime. We don’t know who has done this, although a suspect has been named. We don’t know when classes will resume (although we suspect Wednesday). We are severely tempted to pursue rumor, conjecture, and half-truths. We are severely tempted to embrace a story that seems to make sense of tragedy. We are severely tempted to ignore the fact that violence is often seemingly the only answer for those who are angry, or mentally disturbed. We are tempted to grab at anything that can pull us away from this day. But we can’t fall for that temptation. We all possess the empathetic skill to imagine what it must be like for Ethan’s family tonight – we dare not do so because we recognize the immense pain they must be feeling. We want that pain to go away, but it will not without us first dealing with it, and working through it. 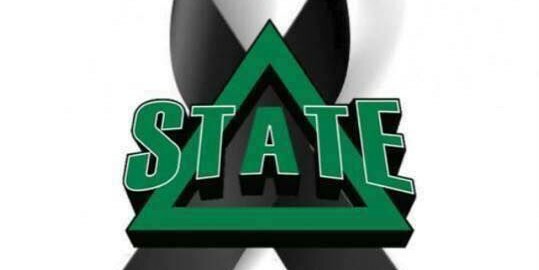 What we do know is that today, Delta State University pulled together as one true DSU family, and we mourn the loss of one of our members tonight. The Fighting Okra will step up to the fight again soon, but tonight he trades his sneer for a heavy heart. I am so glad that it didn’t turn out worse than it was and I am so sorry for the loss and I am very happy that you are okay If there is anything I can do, let me know. Wonderful blog. Ethan, GodBless and I pray for you all. Thanks Aparna. We all try our best to learn from these situations and from our reactions to them. In the end all we can hope is that these events become ever increasingly rare as the result of our efforts. Very well stated! As a DSU alum my heart bleeds and I pray for our school and all it stands for. God Bless and Keep Us All! Jon Westfall….you are an asset to the University! Thank you Theda, I try my best. I well remember the feelings I had when I was in Dr. LaForge’s English History class and we learned of the death of JFK. I remember a classmate from another country was very emotional because she didn’t think something like that would happen in the US. I guess I felt that something like this would not happen in MS. It is sad. It is truly sad. The best way to move on is to let it be sad, learn from it and from our reactions, and try to make the world better. Thanks Karen. We do feel a sense of protection over our students, even though they’re adults. It’s just in the nature of being a professor. Wonderful thoughts. My sons Matthew and Michael Franks were in your class today. I wish to thank you for keeping everyone safe. My condolences to the DSU family. Matthew & Michael were awesome to have in there today – they kept the entire group upbeat and calm. It was a group effort in that room – everyone kept each other calm, and comforted each other as needed! I really enjoyed reading this it was very comforting in knowing that there are people like you that care so much about students and people in the community and others not in our community as well, it says a lot about your character.